For those who aren’t fans of cult sales movies, the quote above comes from Blake, Alec Baldwin’s ruthless, verbally abusive, real estate sales trainer in Glengarry Glen Ross. Blake’s delivery is coarse, but for freelance writers, his message is true: Only you are responsible for your success or failure. And a significant factor that determines whether you succeed or fail as a freelance writer is your ability to find work. You might not consider yourself a salesperson. Maybe you want to be a writer so you can focus on the actual writing itself, or maybe you’ve already got a writing client or two and want to devote all your energy to them. But the reality is, if you aren’t finding new work (selling), you won’t have to worry about other tasks, because without paying clients, you won’t be a freelance writer for very long. Now, don’t get discouraged if you’re not a natural born salesperson. You don’t have to wear a suit or make dozens of cold calls per day. Selling doesn’t have to be creepy, aggressive, annoying, or any of the other stereotypes you think of when the word “sales” comes to mind. One of the best things you can do for your career – whether you are a brand new writer, a seasoned veteran, or still an aspiring freelancer – is getting into the habit of consistently looking for new work. Once you do, you’re at least halfway – if not further – to ensuring that your business will not only survive but thrive in the long run. 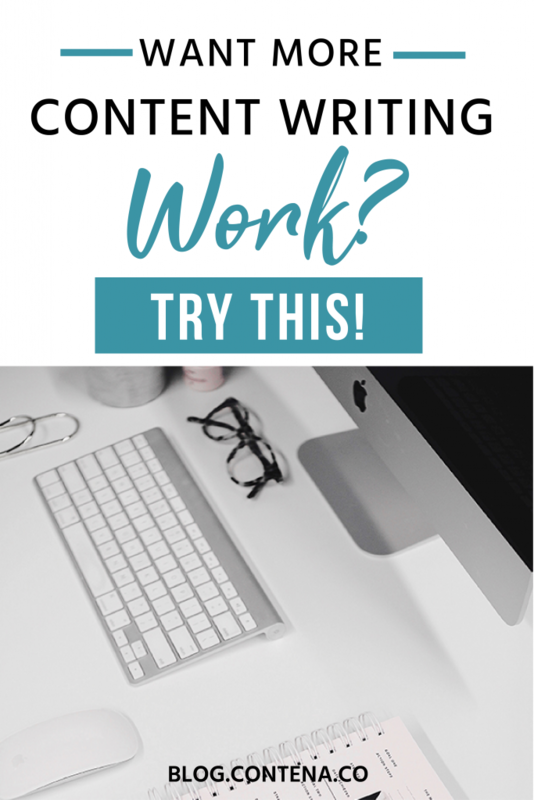 Before I dive into the tactics to help you get more freelance writing clients, let’s define what specifically we’ll be talking about: Getting more content writing work. That means I won’t be touching on things like pitching editors, finding story ideas, seeking out magazines looking for submissions, etc. Nothing against that type of work – I know people who make a good living in the journalism field. I just have much more experience finding clients in the digital marketing/B2B space. There are two main buckets this kind of work falls into: Writing sales and marketing content like blog posts, white papers, eBooks, newsletters, etc., and writing more internal projects like business websites, email newsletters, and so on. One more note – I’m talking about methods outside of websites that aggregate job listings for writers. These job board sites are great to launch your career, but be careful: Many of them contain low-paying work that will rapidly burn you out while you try to earn a decent income. When they are ready to do another movie or TV show, do you think mega-stars like Dwayne Johnson or Julia Roberts show up at open Hollywood auditions? They have decades of success on the screen under their belts as proven, award-winning hitmakers. People are now coming to them with ideas for work. The same concept holds true in freelance writing. Before you’ve made a name for yourself or completed client work successfully, you’ll have to do things you might not have to do once you’re more established. These include cold calling/emailing (more on this later), taking assignments that you don’t love, and getting paid a little less than your ideal rate. 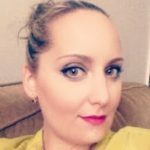 Once you get some more success, you can minimize the methods of finding freelance writing work that you don’t like, and start doing more of what you do enjoy. Please notice I didn’t say, “you can stop looking for work.” As long as you want to be a freelance writer, that part will always be there. It’s just that once you’ve got a bit of a track record, you can be more selective about how you go about finding that work, and what kind you accept. Think about your friends, family members, coworkers from previous jobs, college professors, etc. These folks may not be able to directly give you writing work, but there’s a chance they know someone who could. Look especially closely at connections who are in fields like media, marketing, communications, and PR. These are the departments usually responsible for finding freelance writers. Now, you may be a bit hesitant to mix personal connections with business. How have you been? I saw the pictures of your son Joey online – he’s growing like a weed! I wanted to reach out to let you know that I’m now working as a freelance writer and actively looking for clients. Do you know anyone whose employer or business might need help writing articles, websites, emails, or anything similar? If so, I’d really appreciate a referral. And if there’s anything I can do to help you, please don’t hesitate to ask. If you have an area of expertise, mention that after you tell them you’re a freelance writer. Instead of asking if there’s anything you can do for them, be proactive: E-mail them an interesting article, or use social to answer a question they’ve asked or comment on a discussion they’ve started. If you’ve identified the kinds of companies you’d like to write for, there are dozens of ways to find contacts at them, from good old Google to more sophisticated tools like Datanyze. You can also check a company’s website to learn about their history, expertise, and what kind of tone and voice they use in their writing. Look to see if they’ve been actively publishing on a blog, social media profile, or resource center. Companies that understand the value of content enough to create it on their own (or with another freelance writer or agency) are much more likely to be open-minded about being pitched from a freelance writer. But don’t get bogged down. Lots of timid writers spend too much time researching, using it as an excuse to avoid the next step. Spend no more than ten minutes per prospect doing sales reconnaissance. If you can get it done faster than that, even better. What do you do after realizing the company is a good fit? If they have a job or ad posted seeking out a writer, e-mail the listed contact for the gig. You might need to include a resume. Do you have a passion for, or extensive work history, in a specific industry or subject matter? Reach out to companies in that field about your availability! They may or may not need a freelance writer, but if you can make a good impression, they’ll remember you if they do in the future. They might even refer you to a friend or colleague. How do you actually write the cold email? This question has been answered extensively across the web. In a nutshell, make yourself stand out, provide value, and find a way to connect with them. Remember to also use an intriguing subject line that stands out from the typical deluge of newsletters, spam, and work-related correspondence we all receive in our inboxes. It’s risky, but if you’re confident in your humor, making someone laugh is one of the best ways to connect with them. For further reading, check out two great guides on this practice from HubSpot and The Harvard Business Review. A warning: If you’re going to use cold email as a prospecting strategy, you need the right mindset. Don’t expect to land your dream client on the first, second, or even the fifth message. It’s a numbers game. Think of it like baseball: Even the most successful hitters in the sport will fail at their objective – getting on base – between six and seven times out of ten. Expect most people to either completely ignore your email or politely say they can’t help. Don’t be discouraged: Each non-response or “no” helps you sharpen your skills and gets you closer to reaching out to the prospects who are looking for writing help. No matter which prospecting method you choose, the key to success is doing it consistently – even when you think you are too busy for new work. Don’t just track the time you put into finding new clients – set targets based on measurable indicators of progress. For example, you might make it a goal to send 20 cold email pitches in a week, or apply to three new freelance writing gigs from your favorite job board every day. Log your progress and adjust your metrics as necessary. If you want your career to last for the next five, ten, or 40 years, getting comfortable with prospecting is a must. The good news is, once you do, you’re well on your way to a successful freelance writing business.